Looking for something special for your next boat parade, neighborhood regatta, or sailboat race? Our engraved Sailboat Trophy makes an inexpensive prize for your next boating competition! 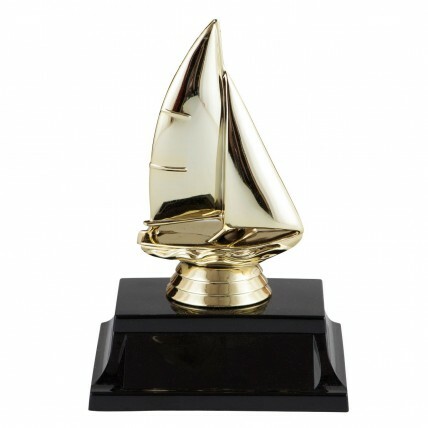 A golden sailboat figure is attached to a piano-finish, high gloss black base. Three lines of your personalized engraving is included on the base for FREE! Measures 5 1/4" tall.